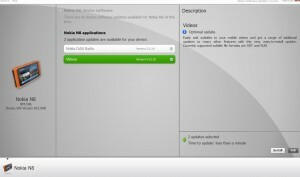 The Nokia N8 gets another update before PR 1.1 hits public. The new update is the Video Subtitles support to your movies. There are two sub format that it currently crunch for your videos, the SRT and the SUB. You can get the update through checking updates via OTA or NSU. The update is just around 1MB which is not bad if you download it through OTA with 3G. Another prowess that these Symbian^3 devices possesses is the support for wide range of video codecs. The most common and widely used today are Sorenson Spark, and the Xvid and DivX codecs which are under on MPEG-4 video and audio compression method. We would see these type codecs mostly from our P2P files like movies and on social site like YouTube. Of course, the benefits of this feature are very essential to every user.